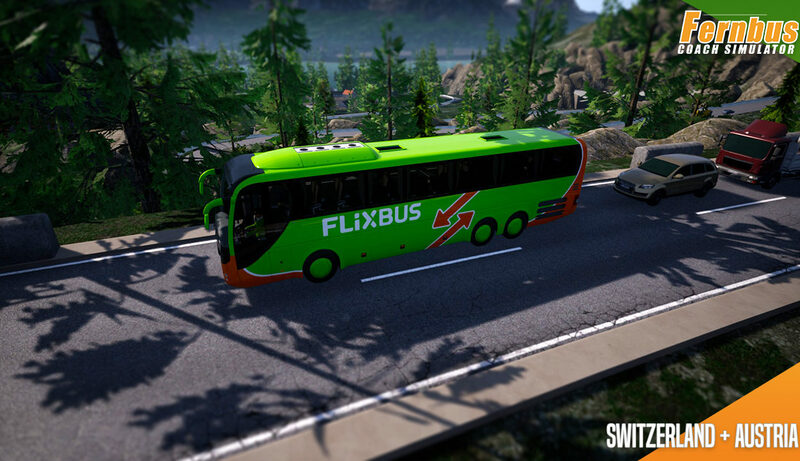 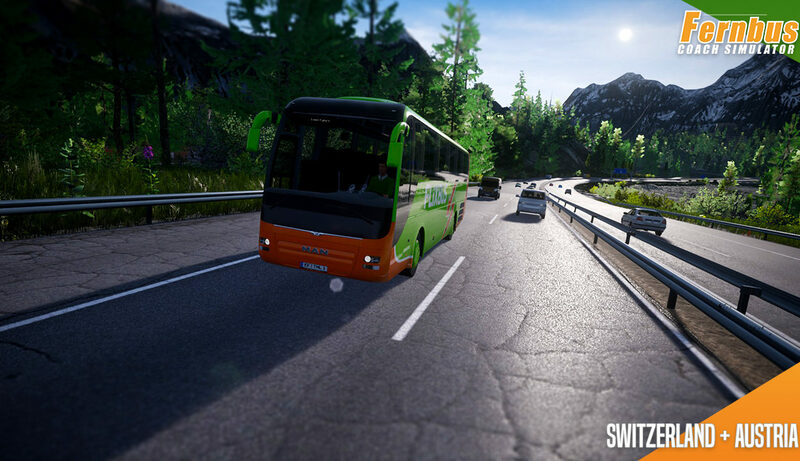 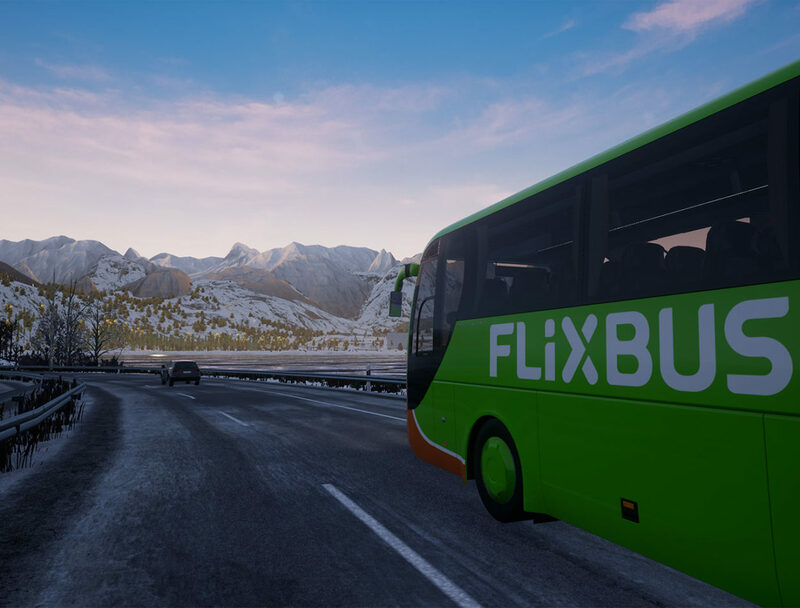 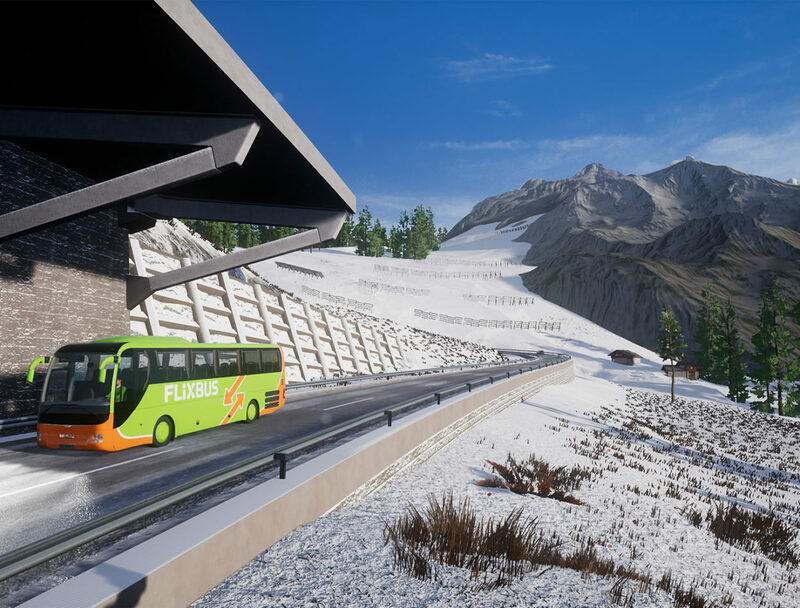 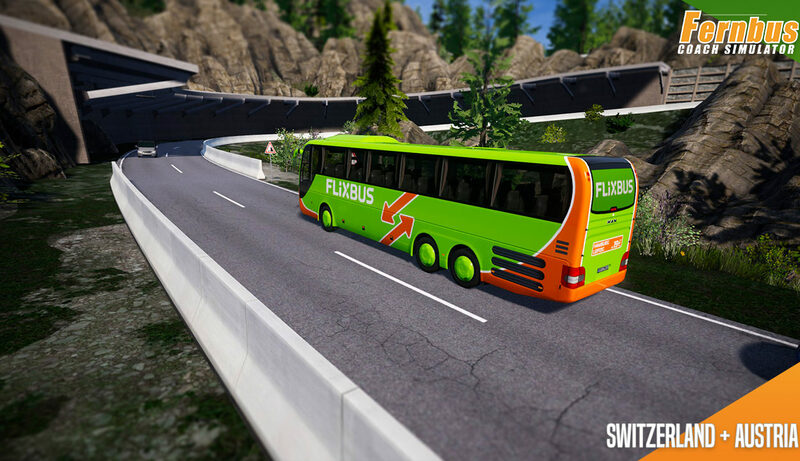 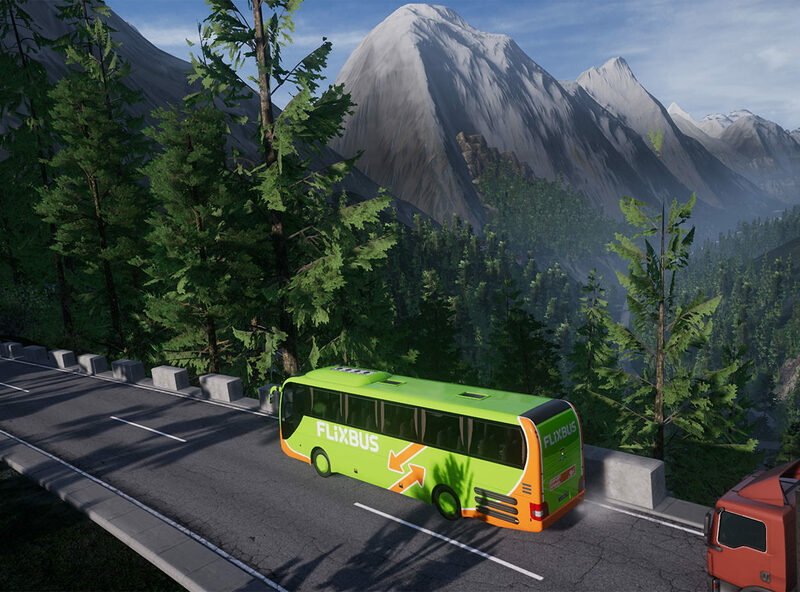 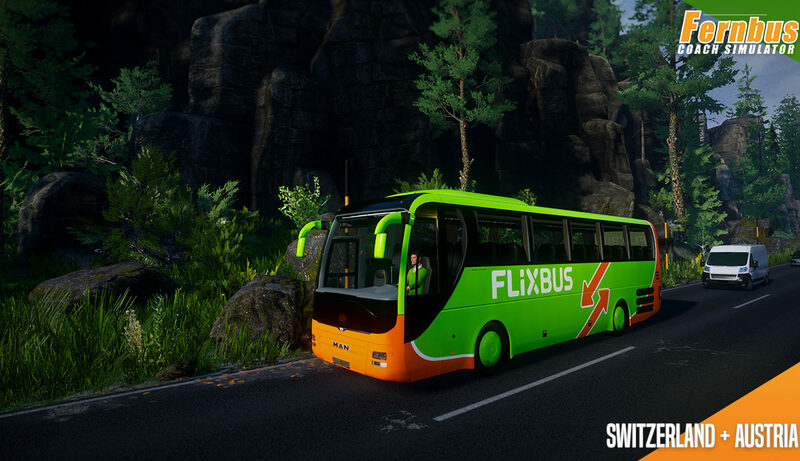 The first map expansion for Fernbus Simulator connects the Alpine countries, Switzerland and Austria, seamlessly and without any loading sequence to the existing Map of Germany. 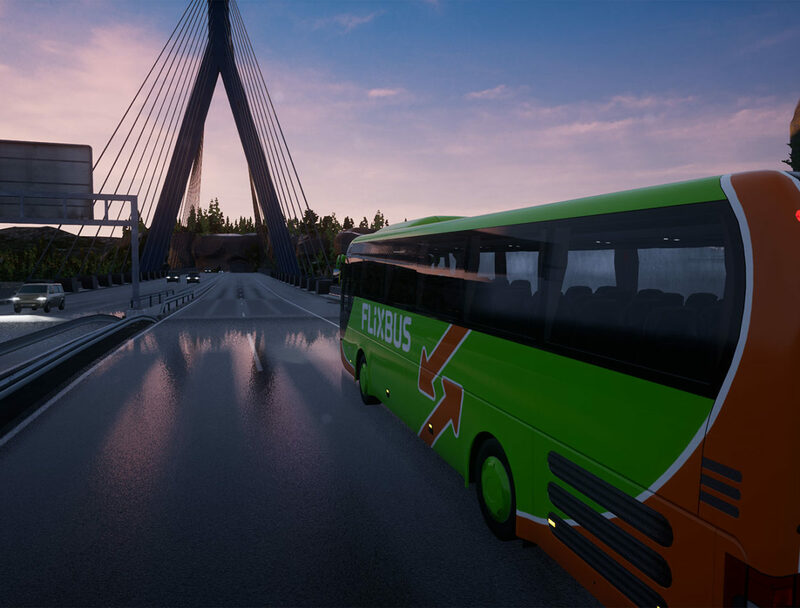 This DLC adds 11 new cities in both countries. 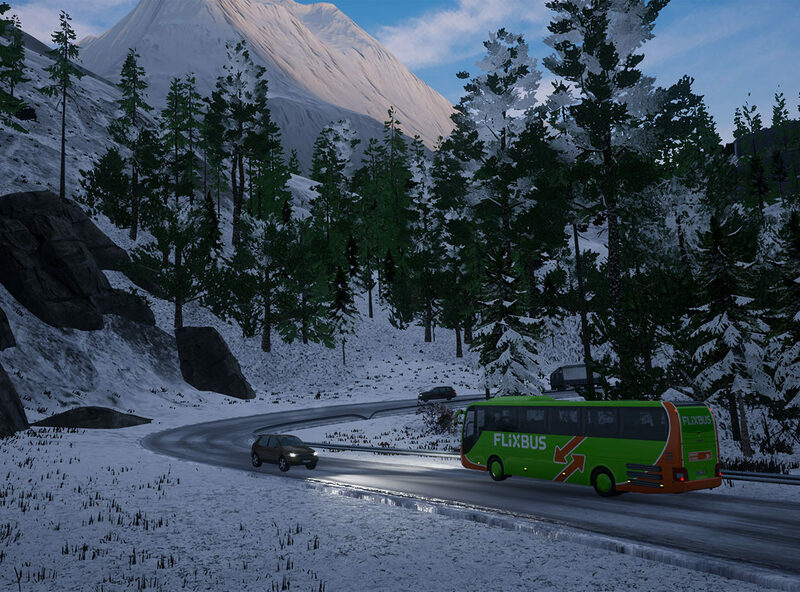 The Alpine Landscape stretches from Geneva over Innsbruck until Vienna. 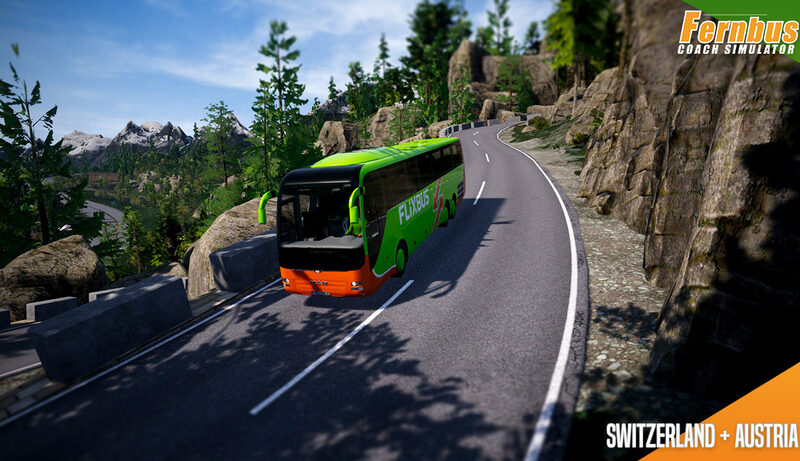 New routes, mountain passes, and winding roads. 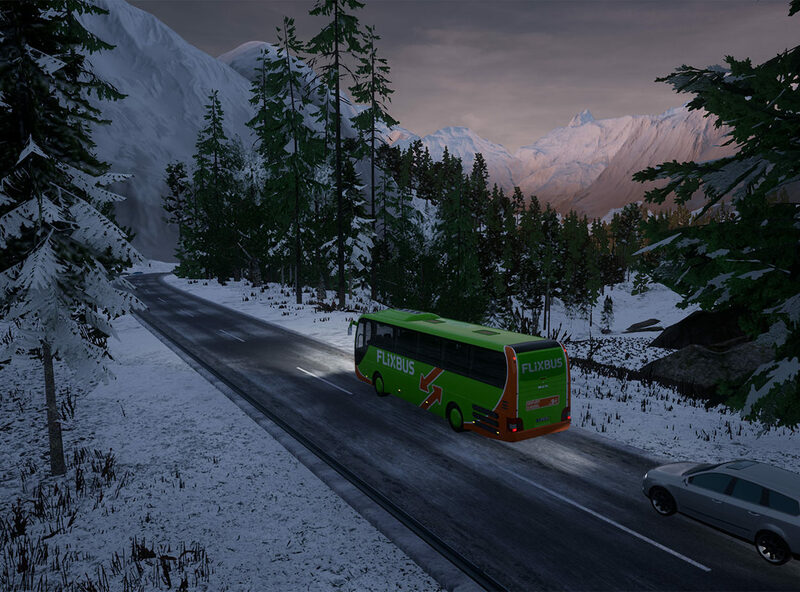 New graphical content, e.g. 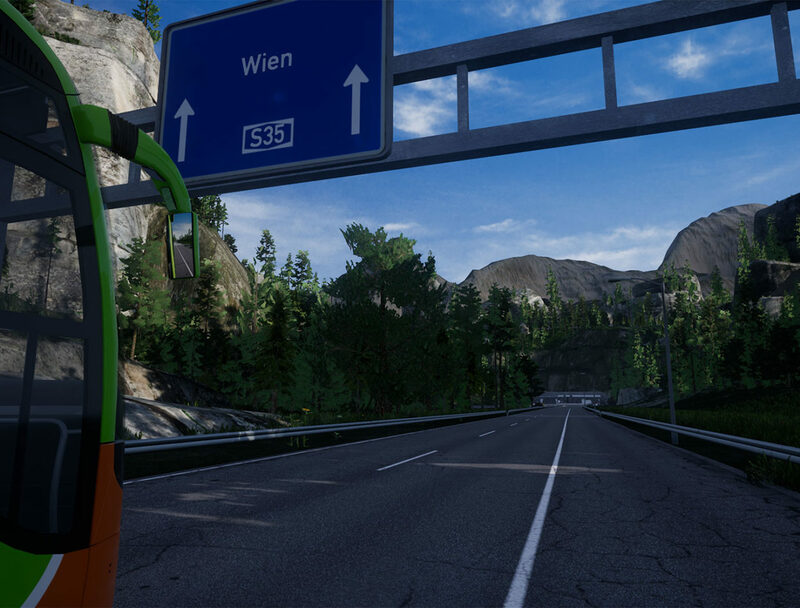 points of interest, massifs, etc. 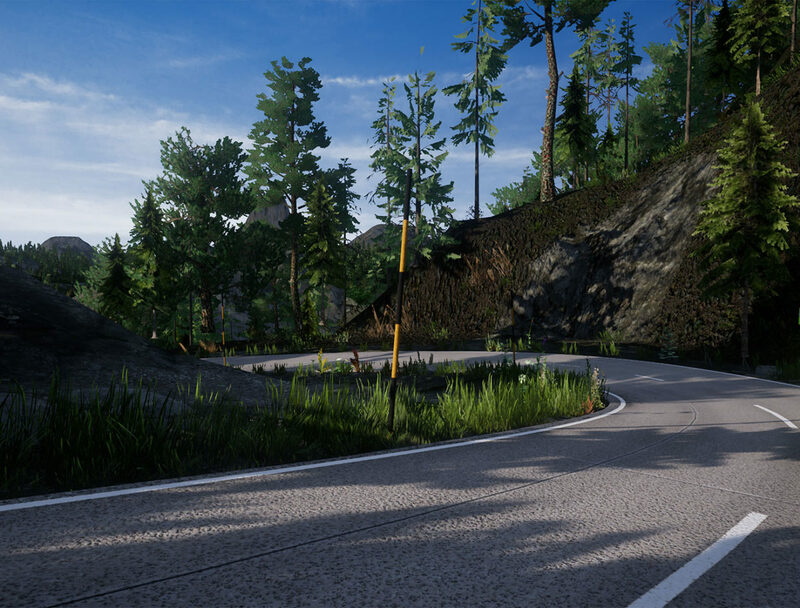 As an independent development studio, based in Erfurt, we specialize in building creative PC games and real-time simulations (3D). 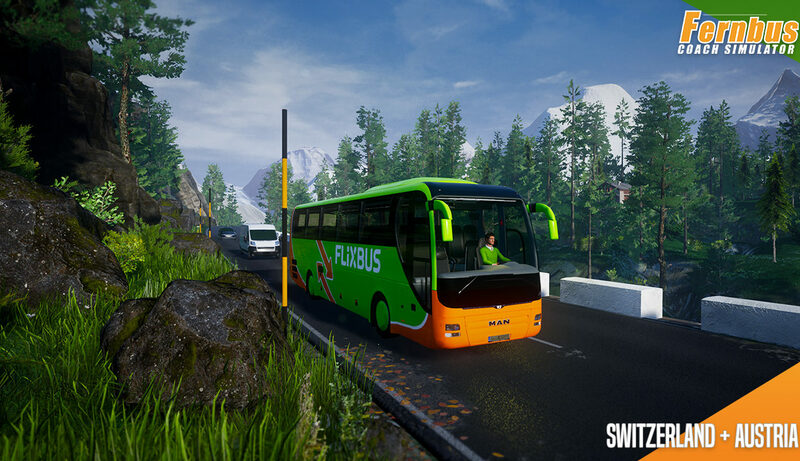 Since 2004, we have been constantly developing new ideas and game concepts that make our products unique. 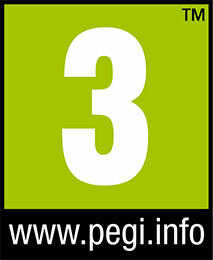 Bei Problem, Feedbacks oder Wünschen benutz bitte unser Forum und den Support- Bereich. 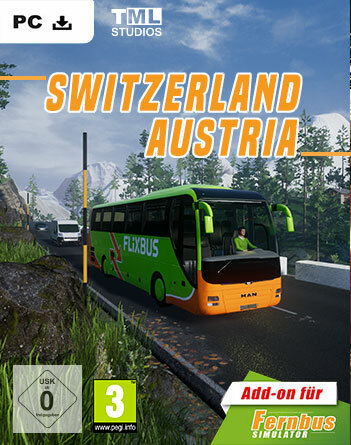 Dort wird euch schneller geholfen.